Have you seen the movie Lincoln? I liked it a lot. I am a big biography buff. My fascination with people and their lives was probably what lead me to becoming a therapist. Back to the movie, though, and what I found most interesting — the portrayal of Mary, Abe’s wife. 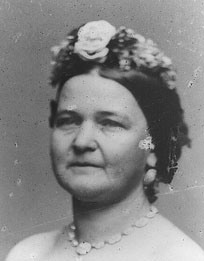 Mary Todd Lincoln has long been characterized as a hysterical depressive figure. I remember reading in historical literature about her bouts of depression, her hysterics and her lack of public popularity. Conversely, our beloved Lincoln usually gets credit for being the stoic, “in control” husband and father — father of a nation and his family. Just look at how he is portrayed so powerfully in his stone chair at the Lincoln Monument. I’ve been there. You get a sense of the heaviness of his life, his introverted emotional nature, as well as how strong and capable he was. 1. In addition to witnessing her husband’s assassination, Mary was shattered by the deaths of two of her children, one of whom died while her husband was in office. One son who died was her darling Willie. He died in the middle of the strain of the Civil War. Unfortunately, he passed while Mary was entertaining in the White House. Understandably, Mary was devastated and burdened by her absence at his death. Duty came first for her, and that cost her dearly at an already stressful time. 2. She endured the challenges of being married to the man who was directing and was partially responsible for the Civil War. This was our country’s most devastating war. Thousands of our boys died. The country was horribly divided too. What woman in her shoes wouldn’t worry and feel anxiety? Marie Antoinette lost her head when the tide turned in her country. Wouldn’t you be stressed? We haven’t heard much about the strengths of Mary’s character or the accomplishments in her life. Did you know she was dedicated to helping the ex-slaves who had moved into the North, fleeing slavery? In the movie, when the war has ended and Lincoln and Mary seem to be moving into a more peaceful existence, Mary calmly makes a joke about how history will perceive her. The actual Mary probably knew on some level that she’d get the short end of the stick. Lincoln kindly reassures her though. He seems to say the public may judge her, but they don’t know what she’s been through. Interestingly, he points out that unlike himself, she had the courage to feel her emotions and get through it to keep moving forward. Lincoln knew that only he had a window into the devastation in her soul, and he respected her for it. I hope they really did have an exchange like that. Culturally, women are encouraged to feel their feelings and express them from a very early age. As adults, the tide turns. Crying and getting upset becomes a show of weakness or manipulation. Professionally, it can quickly result in a loss of respect. What’s a girl to do? Thank God for the ladies room! That’s what I say. 1. Don’t let other people’s judgments about your emotionality get in the way of your feeling and how you deal with them. 2. Having normal emotional responses to abnormal or difficult events is what being a human is about. 3. If you don’t feel and deal with your emotions, you will pay a price. Submerging feelings and not expressing yourself will cause stress. Stress affects us physically and medically. In addition, unaddressed emotions under stressful circumstances fuel the fire of addictions. 4. Be empathic of others who are expressing themselves “too much.” Perhaps there is a lot more going on behind the scenes that you don’t know about. Try not to judge. So, feel and deal, no matter what others say or think. At the same time, don’t go to extremes and walk around martyring yourself. Using good social judgment is always wise and prudent. When the situation arises and it is inappropriate to “get emotional,” excuse yourself and go to the ladies room, or call in sick and lick your wounds. Then, move up and on. Poor Mary became a widow and was financially devastated after Lincoln’s death. She lost another child as well. Eventually, she was placed in a sanitarium by her remaining son. I hope she found some peace there. For more insight into Mary Todd Lincoln, I encourage you to read “Reconsidering Mary” in the The New Yorker.